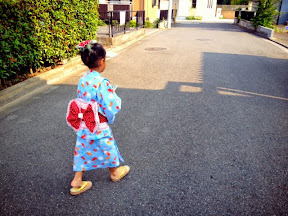 Yukata Day is one of the most anticipated events in Azumi's school. 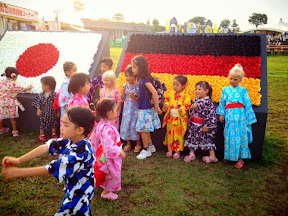 Kids get to wear their cute kimonos and the school has prepared fun activities for the whole day. 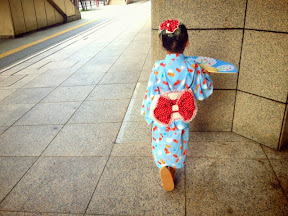 I am excited for this day because Azumi will finally wear my hand sewn obi belt with a matching hand made hair bow. 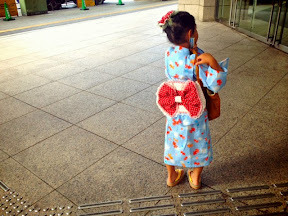 My effort has paid off because she loved it and I got some compliments too. 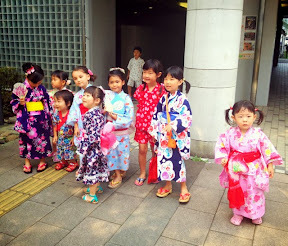 Kids posing in their cute yukatas before the school bus arrives. 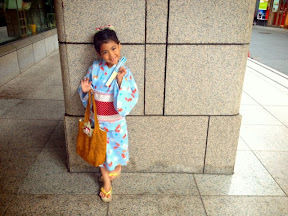 Yukata is a traditional informal kimono that is made of cotton or synthetic fabric. 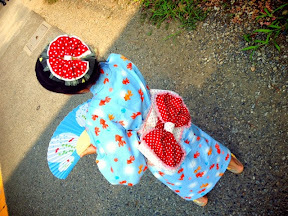 It is usually worn in summertime especially during festivals (matsuri). 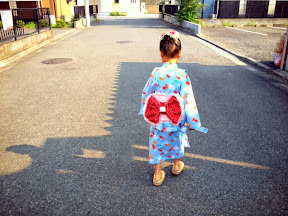 As usual, it was a great friday!